Chuck Colson, 80, underwent surgery this month to remove a pool of clotted blood on the surface of his brain. Washington (CNN) - Chuck Colson, the convicted Watergate figure turned evangelist, is near death after suffering a brain hemorrhage earlier this month, his media representatives said Wednesday. “It is with a heavy, but hopeful heart that I share with you that it appears our friend, brother and founder will soon be home with the Lord,” Jim Liske, CEO of Prison Fellowship Ministries, which Colson founded, said in a statement. “Chuck's condition took a decided turn yesterday, and the doctors advised Patty and the family to gather by his bedside,” Liske said, referring to Colson’s wife. Colson, 80, underwent surgery this month to remove a pool of clotted blood on the surface of his brain. Colson was special counsel to President Richard Nixon and the first member of the Nixon administration to serve prison time for charges stemming from the 1972 Watergate scandal. “He admits he was guilty of political ‘dirty tricks’’ and willing to do almost anything for the cause of his president and his party,” according to Colson’s official biography. In 1974, Colson served seven months of a one- to three-year sentence. Not long after his release, he founded Prison Fellowship, which calls itself “the world's largest outreach to prisoners, ex-prisoners and their families,” with a presence in 113 countries. Colson also hosts a daily radio commentary called BreakPoint that airs on stations nationwide. "I believe in God I just dont believe he interacts in this world at all. When I die and go to judgment it will be based on my deeds and no last minute appeal will work anyway. I stand ready to be judged on my merits = no fear." and where it the world did you get that crock of cr ap ? God always seems to get to to take a bad situation and make something wonderful out of it. I hope he enjoy he new home. at this point, I am pretty sure he is getting farther away from death. Weather you want to admit it,Prayer works!!!! we may not always get the answer we want but that does not change the fact that it works!!!... All you folks who choose to still keep hating on Chuck Colson because of his past mistakes need to just let it go!!! He nor anyone else involved cannot change the past but instead of living in his past mistakes, he turned his life around and positively helped so many people and if you are willing to hang on to his past, just remember,LET HIM WHO IS WITHOUT SIN CAST THE FIRST STONE!!!.. We all screw up, some worst than others but forgveness is the key to healthy living so let it go and move on,he has!!! Yes, I just mowed down this toddler in the crosswalk while I was drunkenly and recklessly speeding in my Caddy. But hey, That was so ten seconds ago. It is time to forgive and forget and get on with our lives. Well, except for pancake boy here, obviously. Atheism is not healthy for children and other living things . TV news reports "swarm" of earthquakes in Pacific Northwest (4/19). All predicted by Jesus in the Gospels as a sign of the end! What he did as a member of the Nixon administration was dead wrong. What he's done for prison ministry in America, he's a saint. I was sceptic when he went to prison and found Jesus, but as Jesus said, "We shall know them by the fruits they bear." Bless you, Mr. Colson. The statistical studies from the nineteenth century and the three CCU studies on prayer are quite consistent with the fact that humanity is wasting a huge amount of time on a procedure that simply doesn’t work. Nonetheless, faith in prayer is so pervasive and deeply rooted, you can be sure believers will continue to devise future studies in a desperate effort to confirm their beliefs!.!. 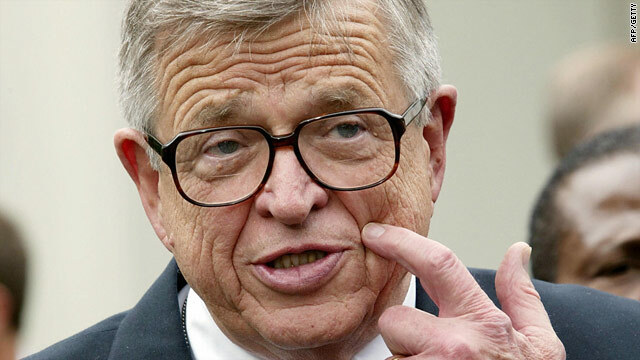 This just in: Chuck Colson Still Not Dead. Perhaps god will take him up in a chariot of fire. The statistical studies from the nineteenth century and the three CCU studies on prayer are quite consistent with the fact that humanity is wasting a huge amount of time on a procedure that simply doesn’t work. Nonetheless, faith in prayer is so pervasive and deeply rooted, you can be sure believers will continue to devise future studies in a desperate effort to confirm their beliefs!.*!~. Would all of you detractors say the same negative things about the Reverend Martin Luther King Jr. He was not only a Christian, but he preached the message of Jesus. Was he one of Nixon's buddies?